Ah, the versatile pea. Though not currently in season, I always keep frozen peas on hand, since they store well and organic varieties can be purchased inexpensively. Serve as a dip, or toss with pasta. 1. Place peas in pan and add enough water or stock to come half way up their height. Cook peas over medium heat for about 3 minutes, or until peas are bright green and tender. 2. 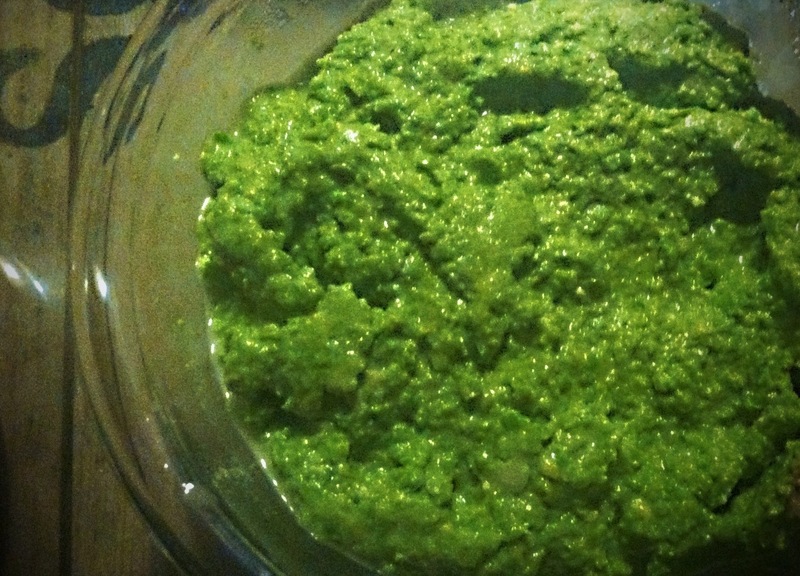 Drain peas, reserving liquid, and transfer to food processor or blender. Add olive oil, garlic, Parmesan, ricotta and a teensy bit of cooking liquid to start purée. Blend until smooth, adjusting consistency with reserved liquid as needed. 3. Season with salt and pepper to taste. Serve on toast points.